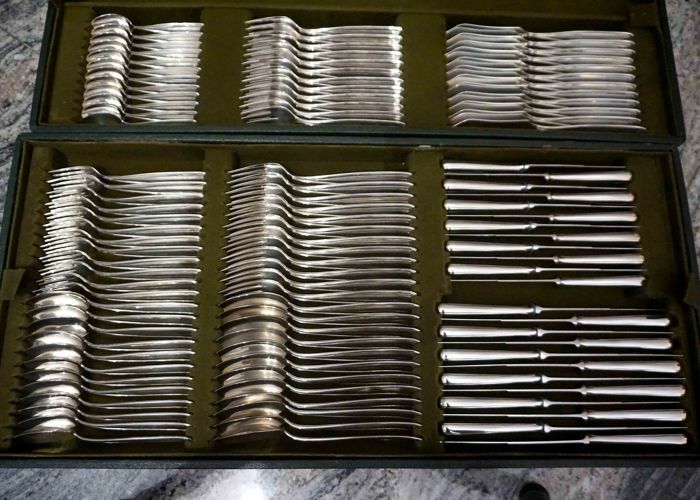 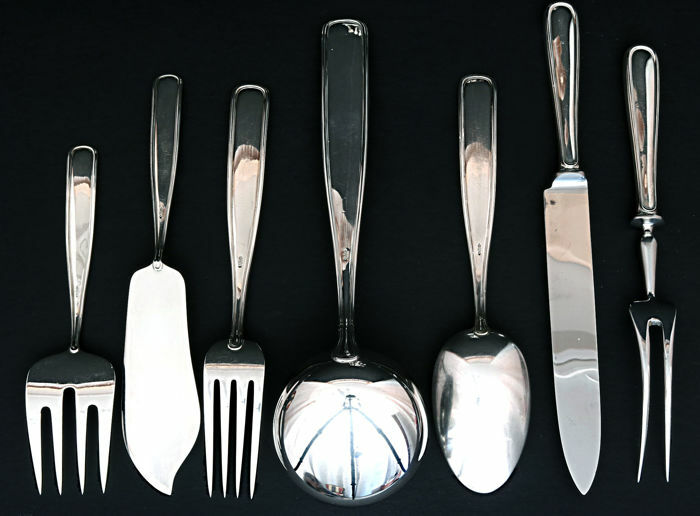 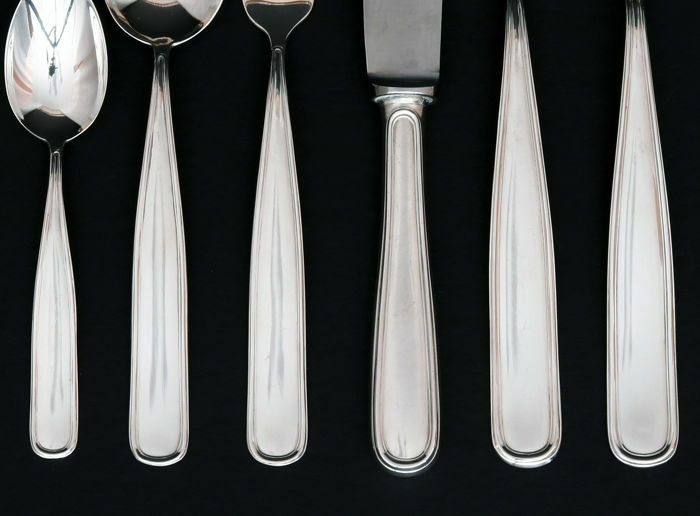 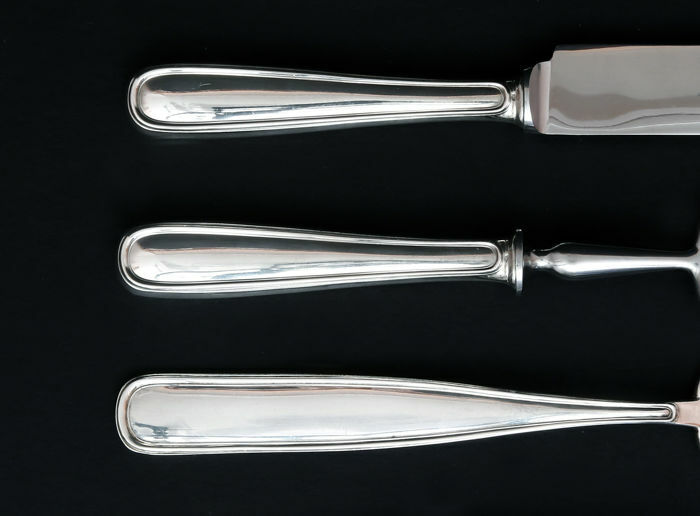 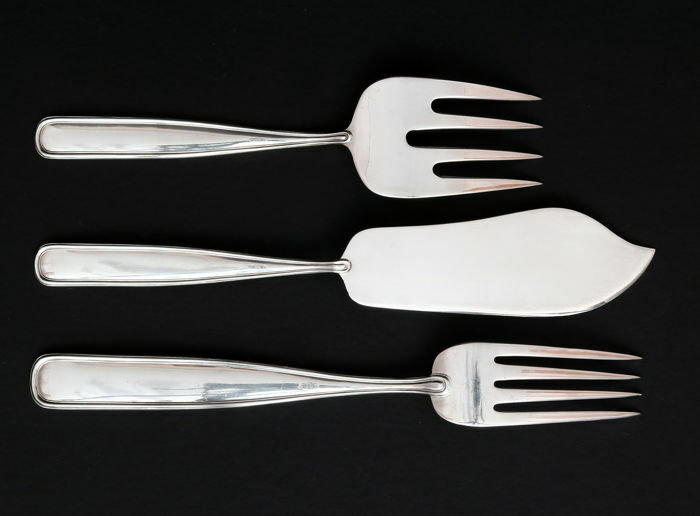 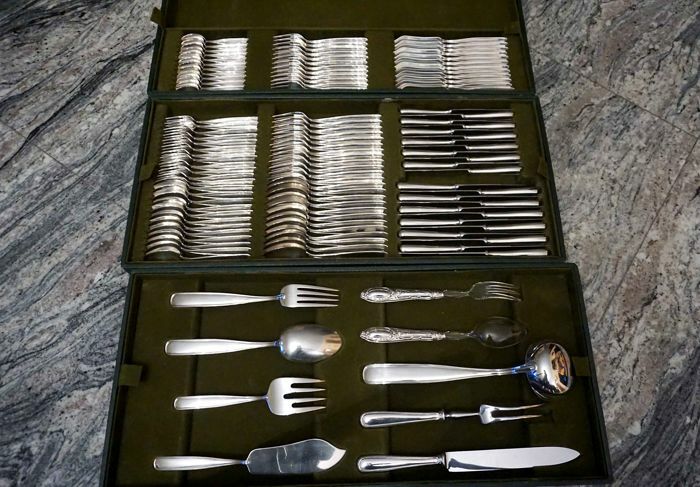 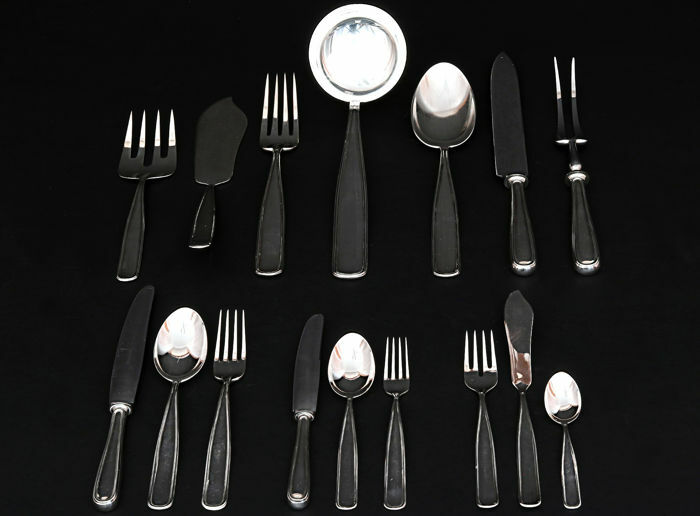 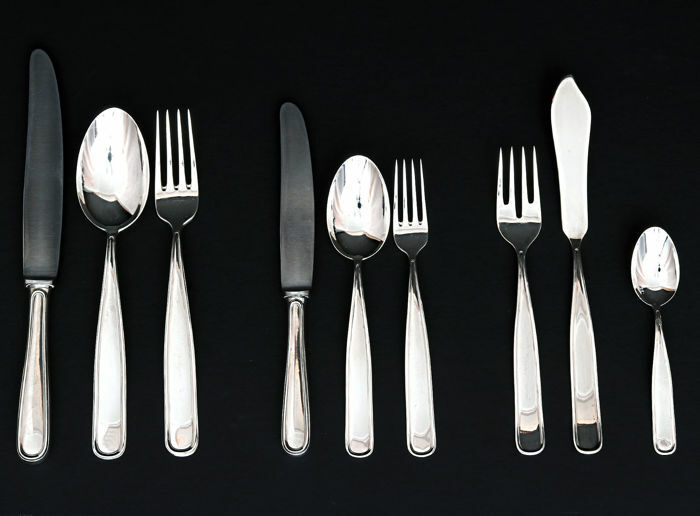 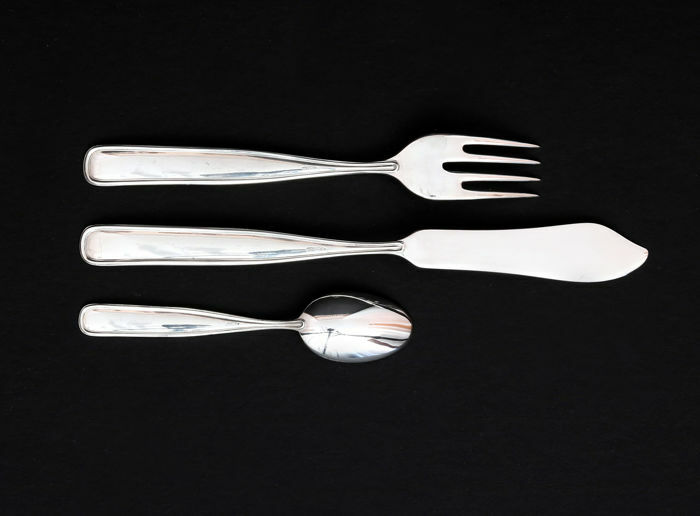 Silver 800/1000 115 +2 - piece cutlery set for 12 persons. 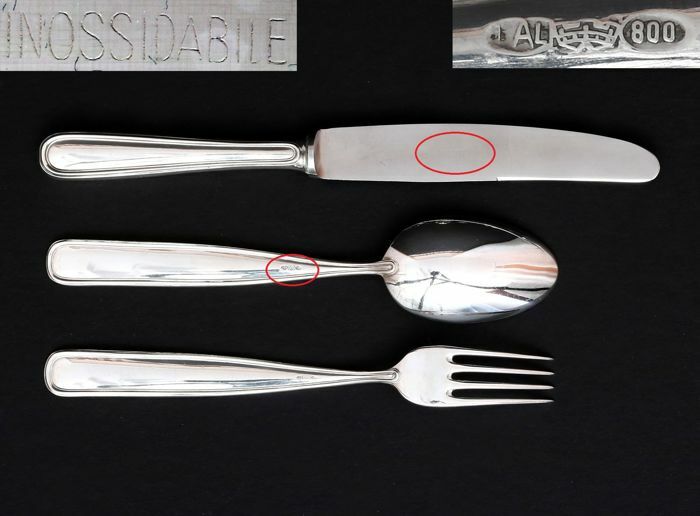 It is made in Italy by A.Cesa. 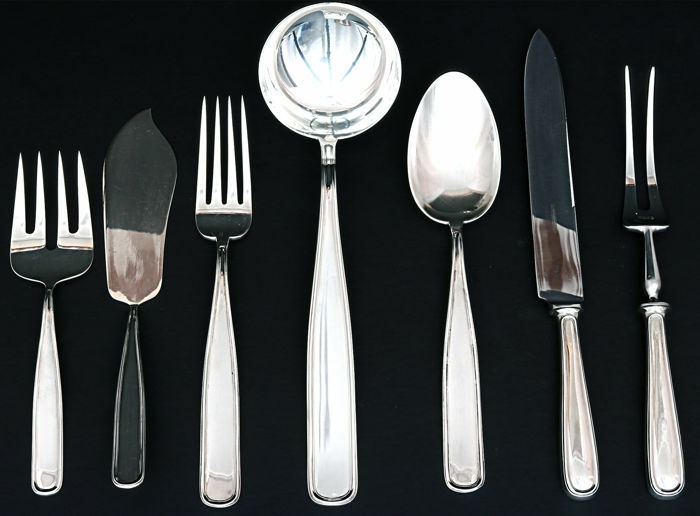 in the years 1944-1968. 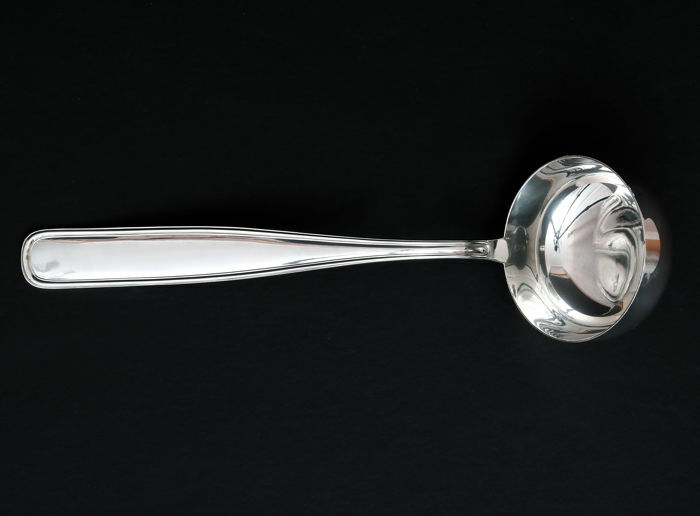 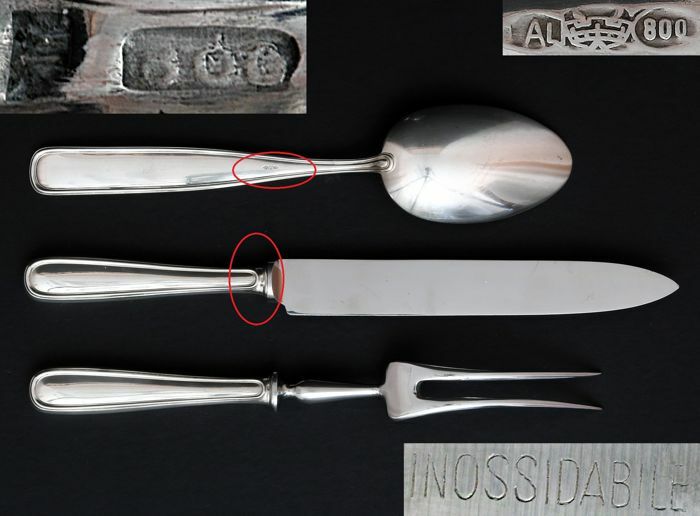 Hallmarks: 800 and silversmith mark 1AL. 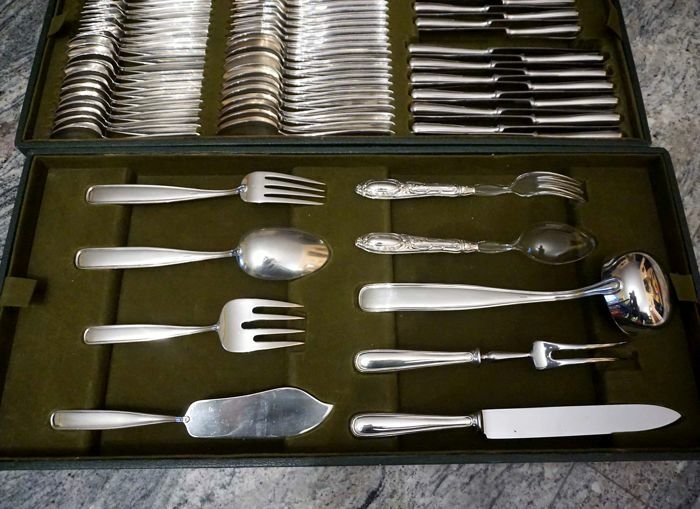 The are in 3 drawers lined with dark green velvet. 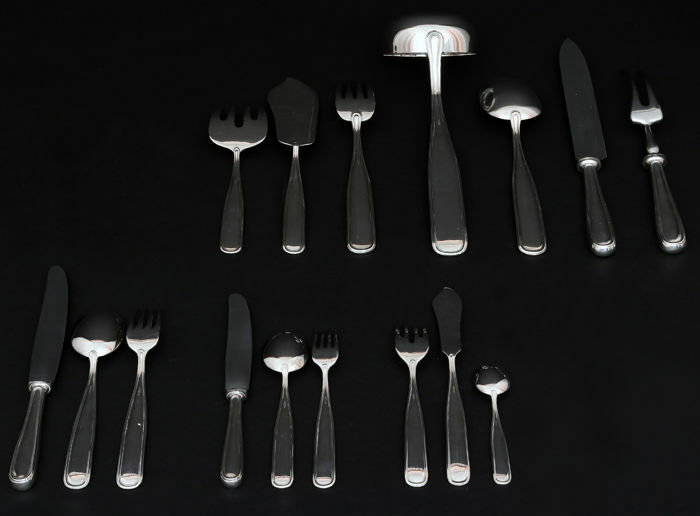 The set is in perfect condition.